There are many misconceptions about the Buddha and his teachings in India. 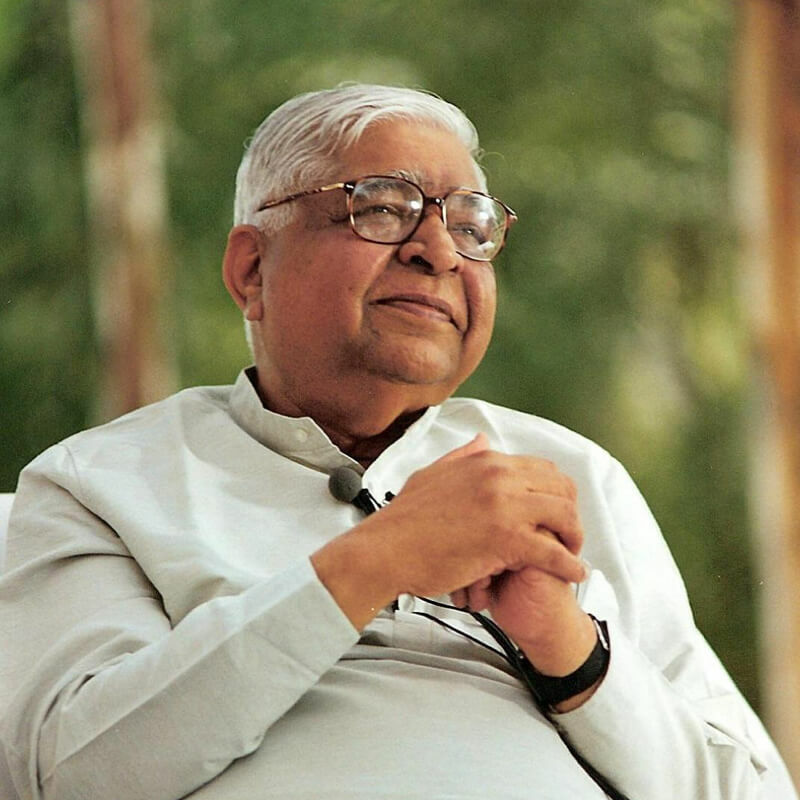 It is essential to remove them and to reveal the truth, especially to Vipassana meditators. Otherwise, they will remain oblivious of the facts and will remain confused. This "Glimpses of the Buddha’s Life" exhibition will certainly dispel some misconceptions, if not all. Why did Prince Siddhattha renounce royal comforts, his beautiful young wife and newborn baby and choose the difficult life of an ascetic? He had no quarrel with his family members. He had loving relations with all of them. Therefore, when he discovered the universal path of liberation from suffering, he shared this knowledge with his family and relatives in addition to innumerable suffering people of the world. The sole purpose of his search was to discover the true cause of suffering and the right means for its eradication. He spent six years of his life making strenuous effort to discover the truth and he finally found the real solution to this problem. Pubbe ananussutesu dhammesu—the truth that he had never heard before manifested itself. This truth was not prevalent in society nor was it being practiced in the spiritual field. How then could he have heard of it? From whom could he have heard of it? Let us take a look at what was prevalent as the truth in the spiritual traditions in India during the Buddha’s time. Let us also look at the truth discovered by him which, far from being popular, was not even known? In almost all traditions in those days, the belief was that the six sense doors (eyes, nose, ear, tongue, body and mind) constantly come in contact with their respective sense objects (form, odour, sound, taste, touch and thoughts). Because of this contact, one constantly generates taṇhā—craving to preserve and increase what is pleasant and aversion to get rid of what is unpleasant. Whenever craving or aversion arises due to contact, suffering arises. Craving or aversion comes with suffering. Thus, the commonly held belief was that when the sense doors come in contact with sense objects, one should not generate taṇhā—craving or aversion. On coming in contact with sense objects, one should not react with craving or aversion. The Buddha understood that this is only the apparent truth and not the ultimate truth. It is partial truth, not the complete truth. Partial truth can only yield partial benefit, not full benefit. When the six sense doors, that is, the six sense organs come in contact with their respective objects (saḷāyatana paccayā phasso) a sensation arises in the body (phassa paccayā vedanā) and when the sensation is experienced, craving (taṇhā) arises (vedanā paccayā taṇhā). Clearly, if we are not aware of phassa paccayā vedanā—the sensations that arise as a result of contact—we are ignoring the deep root and getting entangled in the superficial branches. We should be aware of the bodily sensation that arises as a result of contact and should remain equanimous towards it. When we do so, we start getting liberated from craving and aversion at the root level of the mind. Whatever the outward object (causing craving or aversion), it seems that when we come in contact with this object, we perceive it as desirable and generate craving towards it or perceive it as undesirable and generate aversion towards it. However, this is not the actual truth. It is only apparent truth. The key to true freedom from craving and aversion is to know the actual truth and to maintain equanimity while remaining aware of it. 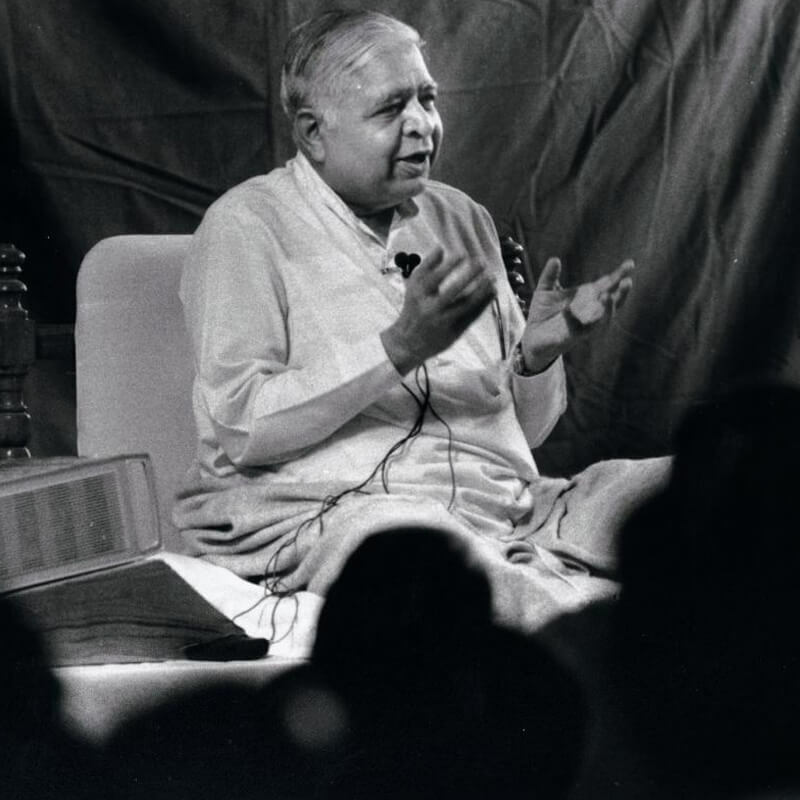 We must gain freedom from vedanā paccayā taṇhā. This is the auspicious path of attaining liberation from craving in reality. 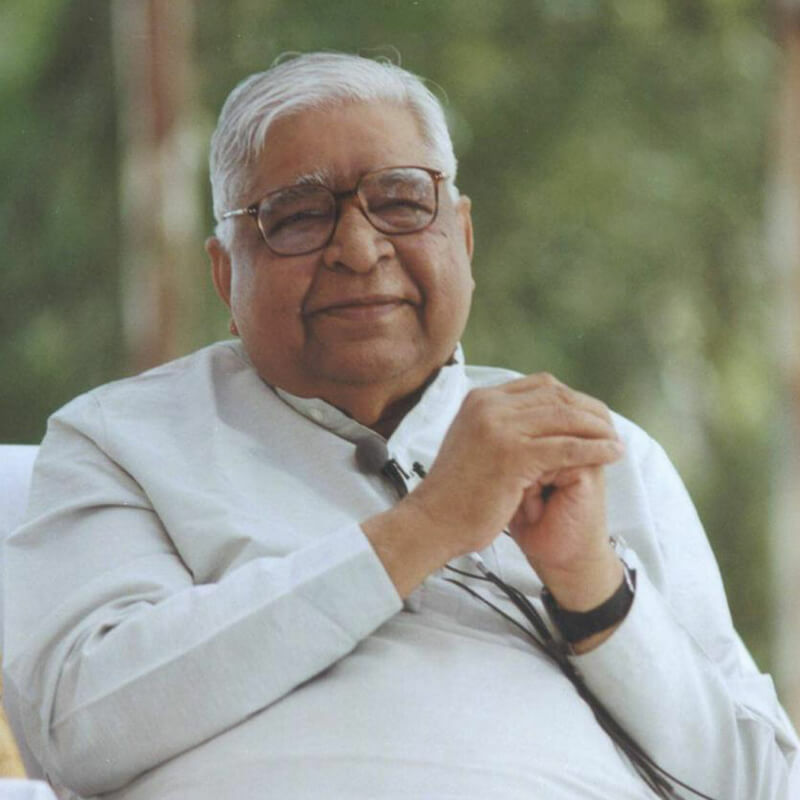 This is the beneficial teaching of Vipassana. This is the knowledge that leads to release from all suffering. An example: a certain person who joined a Vipassana retreat was afraid of the sound of the barking of dogs. He was an educated young man. At the intellectual level he understood quite well that his was a secure lodging. He was sleeping in a closed room. A dog was barking somewhere in the neighborhood. It could not even come near him. Then why should he be afraid? Yet, this understanding is only intellectual. The fact is that he would be afraid as soon as he heard the sound of a dog barking. Who could convince him at the level of reality and how? Fortunately, he joined a Vipassana course. He started experiencing the sensations encountered during the course. By practice he learnt to remain equanimous towards bodily sensations. His fear of a dog’s barking automatically disappeared. The fear was contained in the bodily sensations. Once he learnt to be equanimous towards those sensations, his fear disappeared. Several people who come to learn Vipassana have addictions such as addiction to alcohol, heroin, gambling, sexual misconduct etc. Because of their attachment, they are unable to come out of their addictions even if they wish to. Actually, the addiction is not to any substance but to the bodily sensation that comes from the use of that substance. Because they do not know the real cause of their suffering, they remain a slave to their addictions and commit wrong actions, thereby producing suffering for themselves, now and in the future. If one commits wrong actions of body and speech, a storm of defilements will arise in the mind and make him agitated. In order to get release from this, the Buddha discovered the technique of Vipassana. To clarify it, he discovered and explained certain laws of nature. The first one, mentioned above, is that as soon as any of the sense organs come in contact with their respective objects, some sensation manifests itself in the body. Another fact is that we react with craving or aversion towards this very sensation. It is only by discovering this previously unknown truth that the inner eye, the eye of knowledge, the eye of wisdom arose in him and he attained knowledge, attained enlightenment; the light manifested itself. The Bodhisatta became a sammāsambuddha. Two thousand and six hundred years ago, without the aid of modern scientific devices, solely by means of his mental power, this super-scientist of the spiritual world realized the truth that there is no solidity in our apparently gross body and in the entire material world. This solidity is only the apparent truth, the manifest truth. It appears to be so. The ultimate truth is that everything in the material world is made up of innumerable tiny little sub-atomic particles, which are so minute that they cannot be seen with the naked eye. He termed them kalāpa. Even this kalāpa is not permanent, not solid. Every moment it undergoes combustion-oscillation. -They keep arising and passing away in the wavelets of these oscillations—uppādavayadhammino. Arising and passing away, this impermanence is their true nature, their dhamma. The mind and mental concomitants also have the same impermanent nature. Within the time that it takes to blink, they arise and pass away many trillions of times. This creates an illusion that they are constant and permanent. Sensations are produced in the body even because of this rapid activity of arising and passing away in the body and mind. -The mental concomitants (cetasikas) that the mind contains are called ‘dhamma’. The law of nature is that whatever mental concomitants arise in the mind, they start flowing in the body in the form of a sensation. Sensations are also produced by the interaction of body and mind, due to posture, environment and food. Besides the above causes for the arising of sensations, different sensations arise at different times due to the four mental aggregates: viññāṇa (consciousness that cognizes), saññā (perception that recognizes and evaluates), vedanā (the sensation), saṅkhāra (conditioning in response to the sensation). Besides the mind, there are four elements of the body: earth, fire, water and air. Different sensations associated with these keep arising time and again. Among these various types of sensations, two types of sensations are generally predominant—pleasant or unpleasant. They are instantly experienced by the deepest level of the subconscious mind. If the sensation is perceived as pleasant, a reaction of craving occurs and if it is perceived as unpleasant, there is a reaction of aversion. These reactions are our saṅkhāras. Many of these saṅkhāras (kammas) tend to grow stronger at the depth of the mind. Some of these saṅkhāras are very feeble, like a line drawn on water; as one is drawing the line, it fades away. Some of these are like lines drawn on sand; they fade away in a short while. But some lines are like those drawn on hard rock with a chisel and hammer; they don’t fade away for years. Among these saṅkhāras some are unwholesome and some are wholesome. Unwholesome saṅkhāras lead us to the lower worlds and wholesome saṅkhāras lead us to higher, divine worlds. Saṅkhāras that are not very deep-rooted remain on the surface level of the mind. The saṅkhāras that have strong and deep roots are connected with the innermost mind. Due to lack of understanding, we frequently repeat certain feeble, unwholesome saṅkhāras and make them intense and deep. Consequently, we make our present and future more miserable. These discoveries of the Buddha were not intended to merely satisfy intellectual curiosity. Rather, his purpose was to find the right means of eradicating suffering with the help of these truths. So he discovered the technique of Vipassana which gives results here and now. One learns how not to react towards sensations and to remain equanimous. From then on to this day, it has liberated innumerable people from suffering.